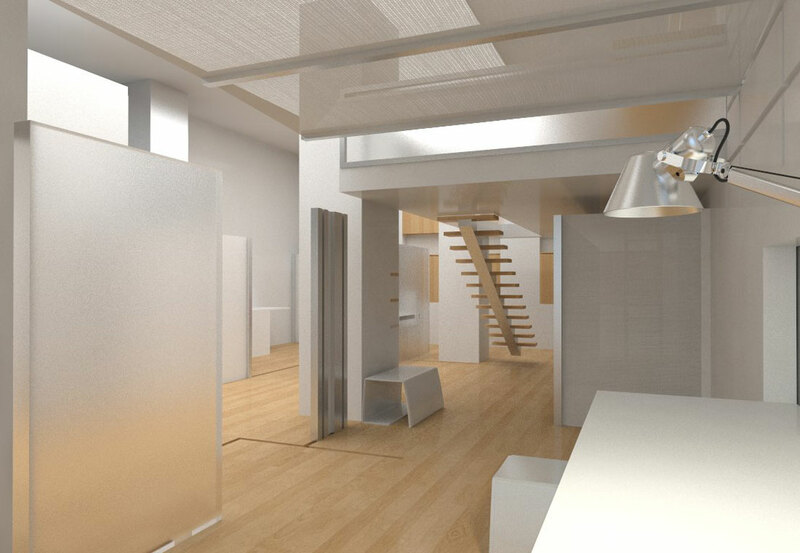 A live / work loft that can be adjusted to fit the unique preferences and needs of the individual milliner, much like the way a hat is gradually adjusted and formed to fit the wearer. The space utlizes the and shape forming elements common in the practice of millinery. A hat is an expression of personal style. The way it is worn reflects differently on the individual. It is adjusted to make the fit uniquely you. Make it your own. The space can be adjusted to however the milliner works best. The light, the size, and the openess of the space can all be changed. When the milliner isn't working, the loft can change to become a social place where their friends can get together. Work and private spaces can be hidden away.